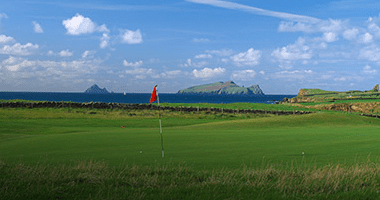 Ballyliffin Golf Club (Old Course) was founded in 1947. 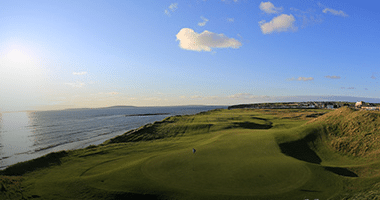 It is a links course and is situated just outside Ballyliffin village, close to the northernmost tip of Ireland, about 30 miles North of Derry. 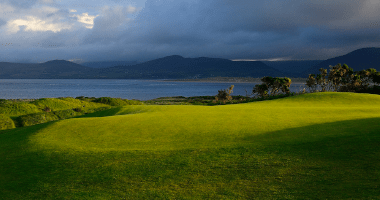 Ballyliffin Old Golf Club is known in some circles as the “Dornoch of Ireland”, while the Old Course at Ballyliffin has long been regarded as the ultimate hidden gem. Measuring 6,612 yards from the Championship tees and a par 71, the Old course has many superb holes with challenging fairways presenting dangers at every turn. The Glashedy Course is the newer of the two courses at Ballyliffin and is now viewed as one of the finest links courses in the country. It measures 7,212 yards from the back tees with a par of 72. 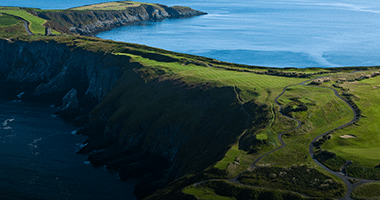 Famous for its spectacular features and views over the Atlantic Ocean, ever blowing the wind, presents a great challenge for any golfer. The layout has undulating greens and rolling fairways and is renowned for its enormous bunkers both greenside and on the fairway. 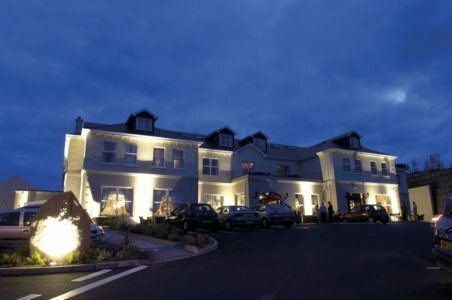 Located on the North-Western peninsula of Innisowen, Ballyliffin and the surrounding region offers numerous sightseeing options. 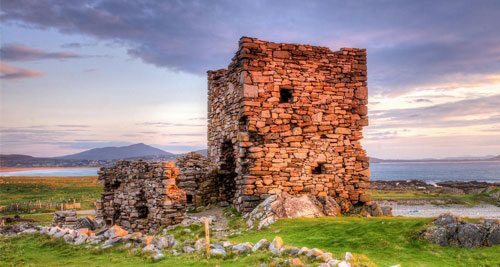 Apart from taking a drive along the northern section of the Wild Atlantic Way, you could also visit Carraickabraghy Castle or Doagh Damine Village. Between the 9th and the 13th century, Inishowen was divided into three sectors, Aileach, Bredach and Carraic Brachaidhe (Carraickabraghy) which are situated in the west of Inishowen. On a large rock, named the Friars Rock in the Isle of Doagh, stands the ruin of Carraickabraghy Castle. The translation of the Irish name into English is Castlebrack. There is some confusion about the origin and date of this Castle but it is commonly accepted that it was erected before 1600 by Phelemy Brasleigh O’Doherty. At that time Carrickabraghy was almost an island with little ground separating it from the mainland. Doagh Famine Village offers a large selection of life size attractions portraying life in Ireland from the 1840s until the present day. The whole attraction is built around original thatched dwellings which were still inhabited up until 1983 by the owner’s family. The famine village also presents how political peace was brought to Northern Ireland after years of conflict.